After I reread it, I had to agree, which is how Zombies Ate My Mom! became the novella that it is. 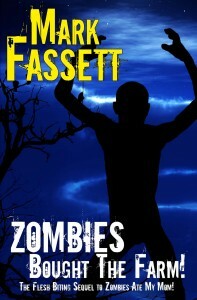 So, just in time for Halloween, Zombies Bought The Farm, the second novella in my Zombies series answers that question. It’s now available from most of the major retailers, and should be available from all of them before the end of the month. Andrea and her boyfriend Brad, along with their new friend Sean and the young boy Danny, escaped from zombie infested Lynnwood to a quiet, cozy farm. After three months, the zombies seem to have thinned out and the four of them are getting used to their new life. Except they are slowly running out of food, and they haven’t got a clue about how to butcher a cow. When a prison bus carrying a close-knit family stops in their driveway, they invite them in for dinner. but soon, they discover the family harbors a terrifying secret. And Brad still can’t shoot. First, I want to say that I am very sorry that Fragments is not out, yet. It’s the longest book I’ve written so far, twenty-eight percent longer than Shattered, and it’s taking me time to work through it. Back in May, I started formatting the paper edition, and quickly decided that I needed to do another edit of the book, which took longer than I thought. The book is better for it. I submitted the files for the print edition last week, and I had planned to release it next week, assuming all went well. Unfortunately, all is not well. I discovered that the font I planned to use on the cover and some of the interior, while listed as public domain, may not have been stolen by the “author” of the font, and thus not public domain at all. There seems to be some question, but if there’s a question, I’m not going to risk infringing on someone else’s copyrights. So, I’ve had to redo the lettering with a font that I DO own a license to, which means I will have to order another proof, and that will delay the book by at least another week. I am going to wait and check the proof that’s already on it’s way before ordering the new one, so that I can catch all the other issues that might have cropped up. 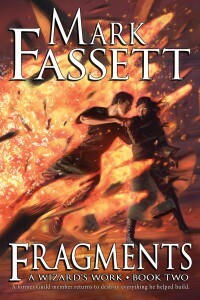 That said, the target date for Fragments is now August first, give or take a few days. This latest delay won’t have a huge effect on future releases. I expect Zombies Bought the Farm to be released around the third week of August, and Minders to release around the middle of September, with the sequel to Grim Repo in October. I’m not placing a date on Reworked, yet, because it’s not finished, and it will need a lot of time to edit. It looks to be about thirty percent longer than Fragments, despite what the word meter says. Finally, I’m looking for a new tile for The Sacrifice of Mendleson Moony. 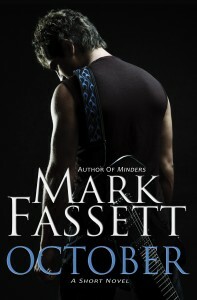 My wife and I talked about it, and we’ve both concluded that, as cool as the title is, it doesn’t fit the book. The book is a fantasy romance book, and nothing about the title indicates that the romance between the characters is a significant driver of the story. If you’ve read the book, help me out. I can’t, for the life of me, come up with a title that fits. Please send me your suggestions. 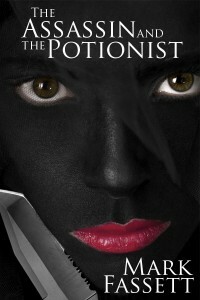 If you suggest a title and I use it, I’ll send you a free book of mine (your choice). I had planned to have Fragments out toward the middle to end of March, but that’s not going to happen. It’s one hundred twelve thousand words, and it’s taking longer to edit than I planned for. It will also take longer to publish. 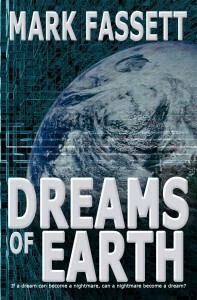 I should be finishing up my first edit of it this weekend, and it will go out to beta readers early next week. If it’s awesome, and everything else goes well it won’t be long after that before it’s done. If it’s not awesome, well, I don’t want to talk about that. In the meantime, I don’t want to leave you empty handed. 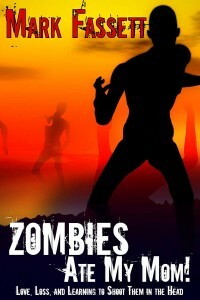 I think I can squeeze the second Zombies book out, now called Zombies Bought The Farm, before the end of March. It will go to a mostly different set of beta readers, and is only about one fifth the length, so I might be able to get it published before Fragments comes back from its beta readers. 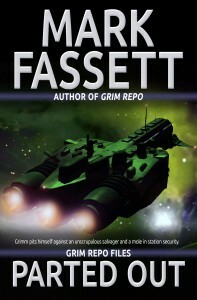 In other news, as soon as I finish my edit of Fragments, which should line up nicely with the completion of the first draft of Grim Repo 2, I’ll start work on the third book of A Wizard’s Work. I’m itching to get started on it. I’ve been absent for quite some time. All sorts of life type things ruined my plans for November and December. I did manage to write every day, but it was at a snail’s pace. But, 2012 taken as a whole turned out better from a writing standpoint than 2011 by a large margin, and I’m hoping to do the same again for 2013. I have big plans for this year, which include finishing up the A Wizard’s Work series and writing the next Lords of Genova book. This year is all about working on the series that I have in progress. It’s ridiculous for some of you to have to wait upwards of two years for the next book in a series because I can’t stop myself from writing up every new idea that I come up with. So, along with those two series I already mentioned, there will be another novella or two for Grim Repo, and another Zombies Ate My Mom novella, too (that one is already started). I’ve decided to remove the individual book progress meters from the site in favor of an overall yearly progress meter, but even that might go at some point. The only real measure of how well I am doing is the number of projects I get finished. I have plans for other titles beyond these, but I’m not ready to divulge them. I will say, though, that if I don’t get hit by a bus, I think you will be pleased. To the right, you can probably see that I’ve added a couple new projects. One is a storyline sequel to Zombies Ate My Mom, and the other is a sort of fairy tale fantasy romance in the same vein as The Sacrifice of Mendleson Moony. The plan is to finish the first draft of both of these this month, but if you know me, plans are meant to be ignored. I’m concerned that ZAMM 2 will go over my projected word count, and if that happens, it won’t get done. They’ll both get done eventually (this month or next), but getting them both done this month will be a challenge considering I still have to do edits on Fragments this month. Oh, did I mention, I’m working on StoryBox 2, too? Today is the day! 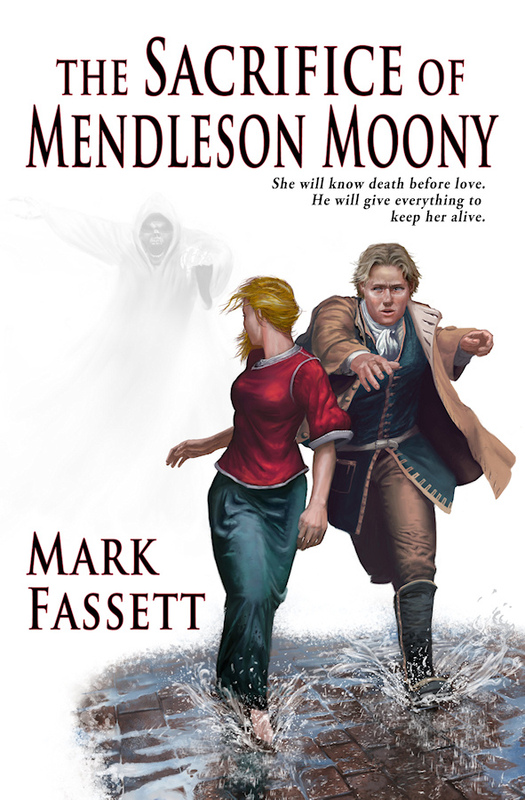 Below are the final chapters of The Sacrifice of Mendleson Moony. I wrote the first nine or so chapters in a rush, and then bogged down for the next few chapters, and it took me a couple months to get through them. But the final few chapters came to life in a rush, too. I was pretty pleased with it, but it hasn’t sold quite as well as I would like. I’m not going to let that stop me, though. I’m going to start another novel next month in the same vein – something with fairy-tale overtones and a strong romantic plot. I’d tell you what the title will be, but I recently decided to change it because my working title is all sorts of bland. Now, obviously, if you read this, you will no longer need to buy the book to finish reading it, but if you liked it, I’d really appreciate a purchase from one of the vendors listed at the end of the chapter. I’d also really appreciate a review, if you’re so inclined, either in the comments here, or at your vendor of choice. 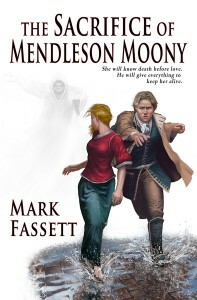 If you are just discovering The Sacrifice of Mendleson Moony, GO HERE to read the first chapter. There will not be another Free Novel Wednesday after this. Nobody commented (except spammers) and it didn’t generate the sales I had hoped it might. I’ve also learned that I don’t write novels faster than I can post them, and that’s the biggest reason why there won’t be another. I just can’t keep up. 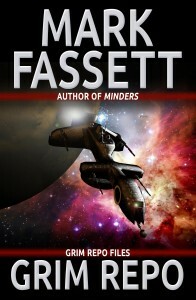 I will have another free novella for subscribers to my email list sometime between now and the end of the year. Back in April, I gave away copies of Zombies Ate My Mom to my mailing list subscribers. 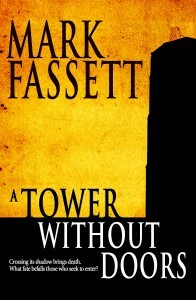 The next one will be a new novella called A Tower Without Doors. In the dark of the night, despite the light of the stars and the moon, Mendleson decided he wouldn’t stray far from the hut. As angry as he was at Henrietta, the thought of leaving her still tore him apart, and he just couldn’t make himself give up. He reached the trees on the other side of the stream and then sat down just inside the tree line, leaving himself with a view of the hut. When she came out, calling for him, he almost went to her. He could hear the anguish in her voice, and his body stood, and even took a step, but he wrestled control of his body away from his emotions. She wanted this, he thought to himself. She wanted me gone, and now I am. And when she finally gave up and went back inside, he let himself slide down against a tree, where he spent long hours pondering his decision before sleep stole over him. Sunlight woke him as it broke over the top of the mountains. He was damp from early morning dew. There was a chill to the air, brought by a light breeze, but the sky was cloudless, and he knew the day would soon warm him. He cast one last look at the hut before turning to head downstream. He walked perhaps twelve feet before a short, older woman stepped out from behind a tree. He stumbled to the ground in his effort to avoid running her over. She put out a hand to help him up, and he took it. As soon as he had a good look at the woman, he let her hand drop, and he backed away. Her head was shaved, covered in a tattoo of a tree, much like Lindyral, but this wasn’t Lindyral. This was another Fate. She had a bird for an earring like Lindyral, but this wasn’t a raven. He looked closer at it. “It’s a nightingale,” she said. “The Oracle of Arabeth,” she said. “I didn’t come here for me. In fact, I was about to leave,” he said. “You don’t have any questions for me?” she asked, raising an eyebrow. “I do have questions, but they seem a bit pointless, now.” He kicked at a stone embedded in the ground. “She made it clear.” Last night, she made it clear she wants you back. He ignored the voice in his head. Mendleson thought about it. He’d had so many questions last night, and now, he had the opportunity to get them answered. Why aren’t I asking those questions? A look of fear crossed the woman’s face as Lindyral stepped out from behind a tree. “What?” Mendleson asked, but the two Fates ignored him. “I have been tasked with overseeing the sighted for a thousand years,” Lindyral continued, completely ignoring Mendleson. She seemed to have forgotten he was even there. “Maybe it’s time for a change,” Essorin said. Mendleson was scared. He remembered the rush of the fire when Lindyral had grown angry at him. He didn’t want to be around when the two of them started using more than words to fight. “Excuse me,” he said, raising his voice. Lindyral was getting to her feet behind Essorin. She had a dark look on her face. 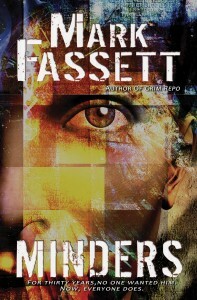 “Watch out!” Mendleson said, as he saw Lindyral reach up behind Essorin, to grab Essorin by the hair. But it was too late. Lindyral put an arm around Essorin’s neck, and there was nothing the shorter woman could do. The two Fates vanished, leaving Mendleson standing alone in the forest. He didn’t hesitate. He did have a chance to save her after all, and he knew what he had to do. He hoped he could get there in time and could somehow convince Henrietta to admit that she loved him. His heart pounded just thinking about it. He hadn’t imagined a few weeks ago that his life could change so much. He hadn’t imagined that he could fall in love again, but he had. He had, and she was in danger. A thread of fear ran through him that she would be too stubborn to admit it, too stubborn to risk his life to save hers. “No,” he said. “Don’t think that way. If you get there, you’ll find a way to save her. He ran out of the woods, splashed across the stream, and entered the Oracle’s hut. It was empty. Henrietta had already left. He ran out the door, found the trail, and followed it, hoping he could catch her before twilight. At first, nothing happened. She’d expected the wraiths to show up and take her the moment the sun touched the horizon, but the plateau remained empty. She walked over to it, put her hand on it. The stone was still warm from the sun. 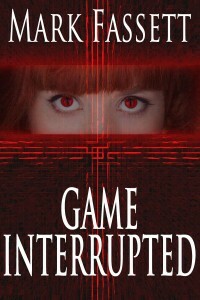 She felt a small tingle in her fingertips as she ran them across the runes that were carved into the surface. She heard a noise among the trees again. A tremor of fear ran through her. This is it, she thought, and she turned to face the wraiths she knew were coming. I’ll stand my ground. I won’t show fear. A few slow seconds passed. She could hear her breath in her ears. The sun had sunk lower, and the light was beginning to fade. With a crash of branches, someone broke free from the treeline near the path and ran out onto the plateau. Her breath caught in her throat. She could only see the outline of the man, as he stood against the backdrop of the sun, but it couldn’t be anyone else. Just then, dark shapes appeared at the edges of the plateau, just as they had in her vision. Mendleson stood, outlined by the setting sun, in just the spot where she knew they would overwhelm him. The path to the Standing Stone proved more arduous than Mendleson had anticipated. He’d been able to run at first, but it went uphill very quickly. Between rocks, fallen trees, and the general steep rise of the path, he didn’t think he was catching up to Henrietta at all. When the sun had sunk low in the sky, he began to despair of getting there in time. He feared that he would arrive on the plateau and find her corpse at the foot of the Stone. And then he worked his way around a bend in the path to find a last climb ahead of him. He hoped he wasn’t too late. As quickly as he could, he climbed the last rocky slope. When he got to the top, he stood among the trees that ringed the edge while he caught his breath and looked for Henrietta. He found her, standing near a massive monument of a stone that nearly tripled Henrietta’s height. Its black faces were covered in runes of a sort, and in the glow of the setting sun, it appeared to shimmer with a strange sort of energy. He had a feeling that it was waiting for something, or someone. He waited for a moment, looking around, looking at her, taking the vision of her in. He had loved his wife, and he dearly and truly missed her, but the weeks he and Henrietta had been on the road had forged something even stronger in him, and he hoped between them. Watching her, as her half expectant, half fearful face glowed in the last light of the sun, only brought home to him that his original goal, to help this woman because he had failed Mirrielle, had become a desire to help this woman because he couldn’t imagine doing anything else. He ran out onto the plateau. “Mendleson?” she asked, an almost unbelieving tenor in her voice. She probably doesn’t believe it. She thought I left. Henrietta stiffened, and a look of fear came over her. She wasn’t looking at him, she was looking past him. He turned around and saw for the first time the view beyond the lip of the plateau. It would have taken up all of his attention, but for the movement at the edges of the treeline, and the dark shapes that emerged. He turned and ran for Henrietta. He only had to reach her before the wraiths, he only had to get her to declare her love for him, he only had to trust that she did love him. He looked around and realized that the wraiths weren’t coming for her, they were coming for him. He struggled against them, but they were too strong. He was without his sword, having forgotten it in his rush to catch Henrietta. They weren’t attacking him like the others had before. They were holding him, their cold hands on his arms binding like shackles. Through the swarm of wraiths, he caught one last sight of Henrietta, and she had tears in her eyes. She saw this, he thought. This was her vision, her fate, our fate. How can I change it? How can I get her to declare her love? And then he remembered what Essorin had said. Do what the wraiths ask. “It is done,” said the chorus of hisses. A hand came up to his face, the palm, covering his eyes. At first, there was no difference. But all too sudden, pain lanced through his eyes and into his head. This is when I die, he thought. He saw a burst of light, for a moment, and then everything went black and time stopped. Henrietta stood and watched as the wraiths closed in on him, just as she had seen. He had tried to run to her, but the wraiths quickly surrounded him, and he had stopped. In her vision, she had always seen herself, standing, watching, until they left him and came for her. She had let it happen. Only, the first time, it was different. She hadn’t felt anything for him. Now, watching it for real, watching it happen in front of her, she felt her heart breaking, knowing that there was nothing she could do. And she didn’t understand why it hurt so much. Others in her life had died, her mother, her aunt, her uncle, her grandmother. Each one had hurt, but they had mostly hurt because she blamed herself for their deaths. Her grandmother had tried to tell her different, but Henrietta had known better. This time, she couldn’t blame herself. She’d done everything she could to drive him away, to make him leave her, even at the end when she didn’t want him to go. Even when she needed him. Yet, here he was, by his own choice. She shouldn’t feel any responsibility. It shouldn’t hurt this much that she knew he was going to die. She took a step forward without understanding why. Her heart beat so that she could feel its pressure in her neck, behind her eyes. You must change your heart. A voice in her head. A voice who had never said those words to her. It sounded like her grandmother. What am I doing? I can’t stop these things. But, somehow, it didn’t matter. She decided that she couldn’t allow him to sacrifice for her. And this time, the why of it had changed. This time, she knew she only wanted him to live, not for herself, but for him. Not because she would blame herself, but because he deserved to live. Because he had already helped her. “Henrietta!” His voice called out to her from amidst the blackness of the wraiths. And it was then that she realized why it hurt so much. It was then that she broke into a run, that she defied her vision of herself standing, waiting. She ran as if her life depended on it, but she already knew she would die. She ran to hold him one last time, to feel his touch. She caught a glimpse of him laying on the ground, his eyes closed, as the wraiths turned to ward off her attack. She felt defeated, but she fought even more. She punched one in the face, and felt the bones in her hand crack as she made contact. She didn’t care. The pain in her hand could not compete with the pain in her heart. She hit another, breaking yet more bones. She felt herself grabbed from behind, her arms pulled back. She tried to kick out at the dark monster in front of her, but missed. She could see him better now, but she couldn’t tell if he was breathing. And then the sobs came. Great wracking pains followed by tears. She could hardly catch her breath. The cold arms that bound her, and held her in place, held her up. If they hadn’t, she would have fallen to the ground. “You killed him!” she managed to say between sobs. They ignored her, and spun her around so that she could no longer see him. Instead, through her tears, she saw the Standing Stone, lit from within, the glyphs shining as if they were on fire. The wraiths brought her to it. She didn’t fight them. She couldn’t fight them. Even at the end, when she had changed, when she had seen what she’d done, even then, she hadn’t changed her fate. I love you Mendleson. And there, she decided what her answer to the Stone would be. The wraiths stopped their movement toward the stone when she was close enough to reach out and touch it. Standing so close, the light from the glyphs was blinding. She had to shut her eyes. Henrietta didn’t understand why it was different in this place, why they didn’t just put a hand to her forehead like before and take her sight. And she didn’t understand why she had to touch the stone. But she did as they asked. The stone was cold and smooth under her fingers, like glass. There you are, said a voice in her head. I have been waiting for you. “Waiting for me?” she said between sobs. Come, don’t cry. You have choices. For the second time, she thought it was her grandmother speaking in her head. “Oh.” I want to spend eternity with him, was her first thought, though she knew it was impossible. Are you sure you wouldn’t rather be a Fate? You could live forever. Done. I am proud of you. The wraiths pulled her away from the stone. A wraith stepped between her and the stone. It put a hand up to her forehead, and it began to draw something out of her, just like the other times. As she slipped away into blackness, she thought she heard her grandmother’s voice one last time. The gift must still pass. But her last thought was of Mendleson. I’m coming, my love. Henrietta opened her eyes. She hadn’t expected she’d feel them open when she was dead. She hadn’t expected, really, to open her eyes at all. The Fates were often clear as to what happened in life, but not a Seer that had ever been known was able to see beyond it. Which explained what? She couldn’t remember what she had just been about to think. She tried for moments to remember, but wherever that thought was going to lead, she had lost the strand. She sat up. Around her, she saw a familiar space. A small hut where she’d met the Oracle. “I’m not dead,” she said. Was it a dream? Another vision? She didn’t think so. It had seemed too real. The pain, too great. And then she remembered. Mendleson, dead at the hands of the wraiths, and she started to cry. She realized, in that moment, that he had accomplished his goal, that he had set out to save her, and had succeeded. But at what cost, Mendleson? What cost to you? What cost to me? A hand touched her on her arm, and she jumped off the pallet she had been sleeping on. Her heart raced. She hadn’t even noticed the man sleeping next to her. She hadn’t noticed Mendleson sleeping next to her. Instead of slowing down, her heart raced even faster. She kissed his forehead as he began to sit up. The blanket slid down his bare chest. She pulled him against her and felt his skin upon hers. Her tears of sorrow became tears of joy. She pulled back a bit to look at his face. He opened his eyes for the first time, and she gasped. His eyes were white. “You’re blind,” she said. She ran her hand through his hair, and realized she didn’t care. He put his fingers to her lips, quieting her. He found them easily, which surprised her. He lay back down and pulled her down with him. He put his hand on her bare back and massaged it. His other hand pulled her head to him and he kissed her, warm, strong, and deep. A spark seemed to exist between them, a connection that she didn’t understand, but it ran down the length of her body as his legs pulled hers to him. If you’ve read this far, and you just have to read the rest right now, you can get the eBook or a really awesome paperback from the following retailers.